Ahead of the New Lunar Year of the Ram, the most important festival in Chinese culture, Sotheby’s is honoured to present a unique evening wine sale – Château Mouton Rothschild : on Friday, 30 January 2015 at Sotheby’s Hong Kong Gallery. Château Mouton Rothschild’s first-ever sale in Asia celebrating the New Lunar Year of the Ram – The Bordeaux First Growth’s insignia. 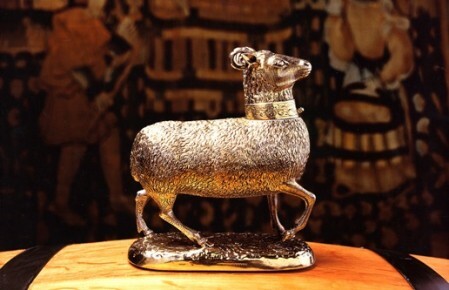 The ram is widely recognised as the symbol of Château Mouton-Rothschild, so it is perfect timing for the Bordeaux First Growth to offer treasures direct from their cellars through an auction in Asia – for the first time – to start the New Lunar Year of the Ram. Spanning over a century from 1870 to 2012, the 263 lots are estimated at HK$13 – 20 million / US$1.6 – 2.5 million¹. Commenting on Mouton Rothschild’s first-ever wine sale in Asia, Philippe Sereys de Rothschild, Chairman of the supervisory board of Baron Philippe de Rothschild, said: “We wish to celebrate the Chinese New Year with Mouton lovers in Asia and, above all, the start of the Year of the Ram, the emblem of our most prestigious wine: Château Mouton Rothschild. To make this auction an unforgettable event, we have chosen personally each of the lots. It is an exceptional selection not only for the quality and the variety of formats and vintages, from 1870 to 2012, but also because these precious bottles have never before left their native land, where they have been kept in ideal conditions. All the 263 lots are making their voyage from the cellar for the very first time. The auction provides Asian collectors with a unique opportunity to acquire the best and the rarest vintages, all with perfect provenance, coming direct from the cellars of the Property. All wines on offer have been shipped to Hong Kong via a dedicated, temperature-controlled reefer container. The last time Château Mouton Rothschild opened their cellars for an ex-Château sale – also its first time – was at Sotheby’s New York in 2007, setting a world auction record for the most valuable bottle in any format with the sale of a Jeroboam of Château Mouton Rothschild 1945 for US$ 310,700 / HK$2,423,460. Commenting on this exciting sale, Serena Sutcliffe, Master of Wine (MW), International Head of Sotheby’s Wine, added: “This extraordinary, direct from the Château treasure trove of Mouton Rothschild honours the history of Mouton, and the remarkable people who have led it and made the wines. The longevity and intrinsic fabulous quality of fifteen decades of this great First Growth makes this a breathtaking collection of vinous brilliance, where noble terroir meets total care and application, both from the owning family and from those who work in vineyard and cellar. The sale is led by a rare vertical lot of 66 bottles spanning 68 vintages from 1945 to 2012 (excluding the 1958 and 1963). 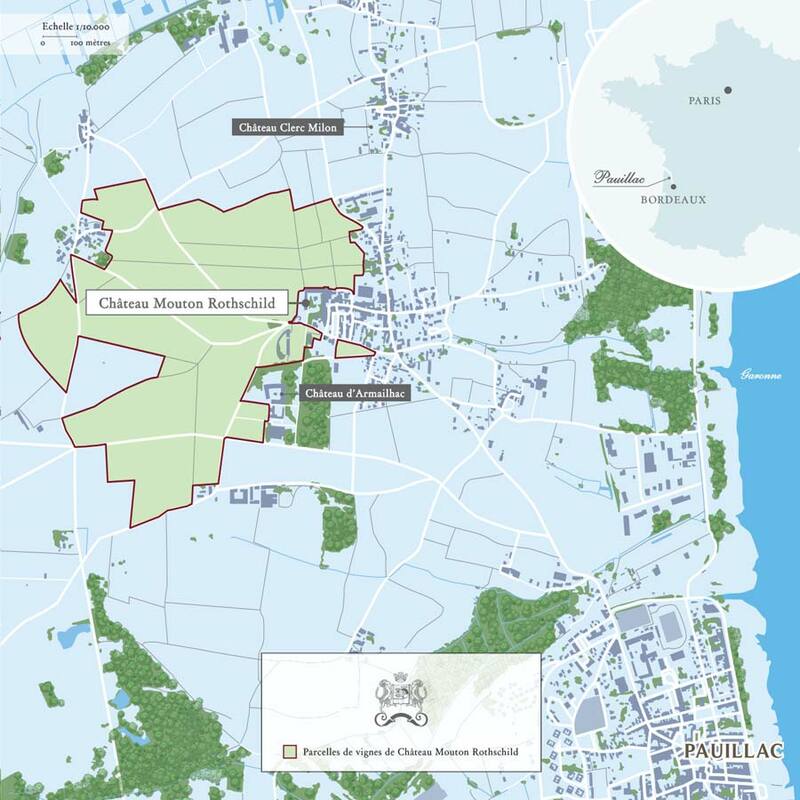 The lot represents a once-in-a-lifetime opportunity for discerning Bordeaux lovers to acquire the ultimate vertical of Mouton Rothschild direct from the Property. Extremely rare vintages include: 1870, 1887, 1901, 1916, 1929, 1943, 1945, 1947, 1949 and 1953. Commissioning an artist to design the label for each vintage is a well-known tradition of the Château. To celebrate the New Lunar Year of the Ram, a selection of eight great artists who featured a ram (mouton²) on the label design, will be offered. Artists featured include Pierre Alechinsky (1966), John Huston (1982), Keith Haring (1988), Georg Baselitz (1989), Raymond Savignac (1999), the engraved Augsburg Ram (2000), Xu Lei (2008), and Miquel Barceló (2012). This is a lot of 48 bottles composed of six-bottle cases for each of the eight vintages. A single lot of two imperials with labels designed by two Chinese artists Gu Gan (1996) and Xu Lei (2008) will be offered. Some special lots with several large formats will be offered, each bearing the three signatures of Baroness Philippine’s descendants: Camille Sereys de Rothschild, Philippe Sereys de Rothschild and Julien de Beaumarchais. These lots are composed of double magnums, jeroboams, imperials and nebuchadnezzars with labels by Anish Kapoor (2009), Jeff Koons (2010) and Guy de Rougemont (2011). Bordeaux wine lovers all over the world know how much Baroness Philippine de Rothschild devoted her time, her energy and her life to the glory of the First Growth, the monument by which she will be remembered worldwide. To the Baroness, Hong Kong was a market of connoisseurs, a place she often visited and held in high esteem. The six-bottle and six-magnum lots consisting of six vintages illustrating Baroness’ life: 1933 (birth year), 1989 (became President of the Company), 1993 (first vintage of Petit Mouton), 2001 (Baroness’ portrait), 2003 (150th anniversary of the acquisition of Mouton by Baron Nathaniel de Rothschild) and 2012 (first vintage in the new Vat Room) will be offered as an homage to the Baroness at the auction. An exclusive invitation to a private VIP visit and dinner at Château Mouton Rothschild for six persons will come with both lots as a special “extra” for the buyer(s). ¹Estimates do not include buyer’s premium and prices achieved include the hammer price plus buyer’s premium. ² The French word ‘mouton’ refers to ‘sheep’, the male of which is called a ram; what many may not know is that Baron Philippe de Rothschild (1902-1988) was born under the astrological sign Aries, giving two good reasons for Mouton Rothschild to take the ram as its emblem. It is hardly surprising that many of the artists asked to illustrate the famous First Growth’s label have chosen the ram as their theme.